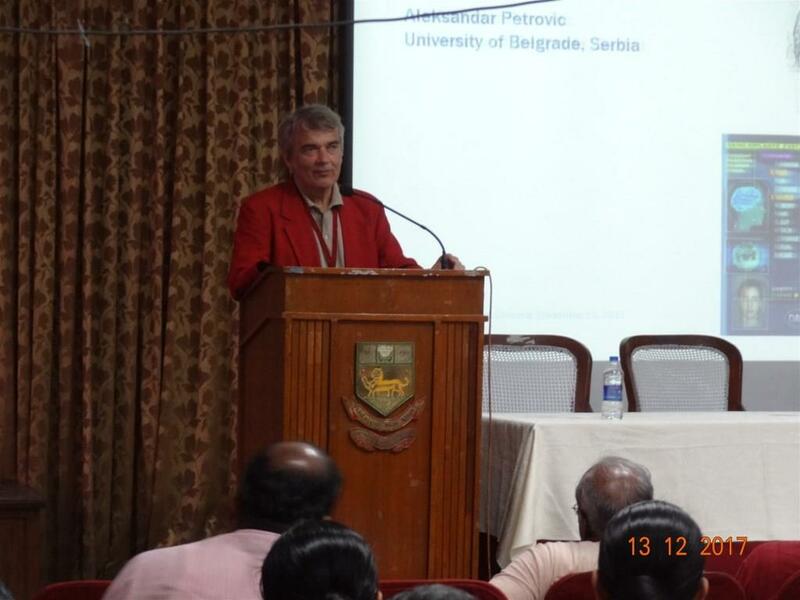 The University of Belgrade (Seminar of Social Sciences – Faculty of Philology) and the University of Madras (School of Philosophy and Religious Thought) jointly organised a conference on the topic: “Technology, Religion and Cultural Identity – An Exploration from Multi-Polar Perspective”, which gathered more than twenty researchers elaborating their stance on the topic and opening a new platform for ideas exchange in this field. India, the birthplace of four major religions, provides a fertile ground for opening the dialog on science, technology and religion as it is a technologically very competitive and aspiring society, while at the same time its cultural integrity is deeply rooted in religion. Realizing that India is the country with the most dynamic development of science and technology while it has the highest level of religiosity, there was the initiative to bridge the cross-continent distance and actuate the mutual endeavour to view the relationship between science and technology globally. The result was a two days scientific conference between Serbian and Indian academic institutions. There have been some insights into religion-science correlation in India (one such project was funded by a grant from the Templeton World Charity Foundation, examining religion and spirituality among Indian scientists and their Western counterparts in the UK and bringing interesting details to light <http://news.rice.edu/2014/09/24/indian-scientists-significantly-more-religious-than-uk-scientists/>); however, there was the need for a multipolar stance on it with the aid of Christian experience. “Technology, Religion and Cultural Identity – An Exploration from Multi-Polar Perspective” was one among the first international conferences in collaboration of India and one European country to open the topic of religion and technology, exploring their connectedness and how it has shaped cultural identity of the nation(s). Since it was initiated from one Orthodox country its aim was also to make a contribution to the ongoing SOW research on the multifold interrelatedness of science and religion. The two days event was divided into four panels: Cultural Identity in the Technological World, Science and its Impact on Theology and Modern World, The Relation between Religion and Society, and The Contemporary Relevance of Religion and Technology, bringing light to different aspects of religion–technology correlation and their interdependence. Some of the main questions the conference targeted to address were what would the main historical impact of technology be; should we not think in terms of mutuality between religion and technology; what the place of theology of traditional religions in the frame of technology is; whether technology facilitates migration from traditional Indian religions to European religions which may be seen as entities closer to modernization; where lies the balance between science and religion; whether it is possible to modernize without rejecting religious source of cultural identity; and whether the era of artificial intelligence is generating artificial faith. The conference started with the welcome address by Dr. Gnana Patrick, Professor & Head, Department of Christian Studies & Chairperson, School of Philosophy and Religious Thought, University of Madras and the keynote lectures were delivered by Dr. Aleksandar Petrovic, Professor and Head, Faculty of Philology, Seminar of Social Sciences, University of Belgrade, Serbia and Local Adviser of the SOW Project, on the theme What is Technology?, and Dr. Prabha Shankar Dwivedi from the Indian Institute of Technology in Tirupati, presenting Virtual Reality versus Real Virtuality: A Study in Relation to Concurrence, Customization and Correlation. It might be said that all the participants agreed that technology today is the main driver of social change, and that it has the strongest impacts upon the dynamics of religion. It was perceived that there has been tendency of merging religion and technology and rising of new phenomena in different spheres of life followed by the postmodern fragmentation of the world view. In such a context, cultural identity formation is weaned out of the traditional sources to go for virtual simulacra as the basic resource for self-fulfilment. Transcendental sources of identity are sought to be replaced by immanentist and pragmatist sources, projecting an unexpected relations between religion and technology. It was the first time to open the topic of technology and cultural identity in the frame of Christian and ‘Hindu’ religions. In that sense, this international conference initiated important interdisciplinary research in the field of religion and technology from the perspective of both Orthodox scholars and their counterparts in India. By launching the possibility of the dialogue between India as the land of the highest religious diversity and Christianity-dominant Europe it has fostered further cross-cultural explorations and comparisons in the field of science and religion. It was another step forward towards the mapping of current science–religion relationship in the contemporary world.